Size: approx. 7-9 mm. Photo: 09/12/11, 7 pm. 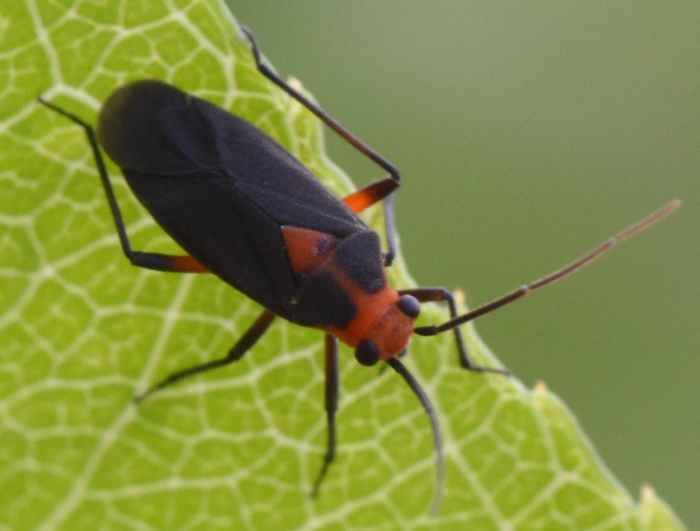 The experts on bugguide identified this plant bug only down to the tribe level (Resthenini). I went a step further and guess Prepops sp. Photo identification of the bugs in Resthenini is difficult due to strong color variations. The genus Prepops has currently 22 species in North America but is seemingly in need of revision; the tribe has four genera.